Ted Williams ganders toward the crowd as the final game in The Expansion Washington Senators history is about to begin. Just moments earlier, The Senators Manager handed his final lineup card for D.C.'s American League Team to Home Plate Umpire Jim Odom--who stands alongside 1st Base Umpire Jake O'Donnell in this historical photograph by Jack Rottier. Umpire Lou DiMuro has nearly reached his position at 3rd Base for this "Funeral" of an affair against The New York Yankees--while Umpire Jim Honochick walks slowly to 2nd Base. As most every baseball fan is well aware--following the end of the 1971 Championship Season, The Senators Carpetbagger Owner--Bob Short--picked up his team and transferred the entire franchise to Arlington, Texas--becoming The Rangers. Major League Baseball would not return to The Nation's Capital for any regular season home game again--until April 14, 2005--when Our Washington Nationals played their inaugural game versus The Arizona Diamondbacks. Over 33 years too long after The Senators sadly played their last game on September 30, 1971. Anger filled the air that early fall night at The Old Ballyard On East Capitol Street in the early '70's. Venom would erupt later during one of the most memorable and impressionable evenings of my life--"The Night My Washington Senators Died". If you have never read that Nats320 post from 2006, please do so--as you will better understand our passion for Our Washington Nationals these days even more. When I saw this photo earlier this week for the very first time--all those emotions from that awful night in 1971 came flowing back to me. Honestly, it was like living the entire episode over again. You had to be there 38 years ago. You had to experience the pain of losing your team--PERMANENTLY. Manager Ted Williams heads back to the 1st Base Home Dugout at RFK Stadium on September 30, 1971 after delivering The Final Lineup Card in Washington Senators History--The Picture Of The Day. PS--Absolutely love the little boy with The Senators Batting Cap stationed perfectly centered in this photo. He was in the dugout and on the field during that final game and I have no idea who he is today. But I would love to know. There was this one game played on a beautiful Sunday afternoon at RFK Stadium back on July 24th, 2005 that I will never forget--all thanks to Eric Bruntlett. The Inaugural Season for Our Washington Nationals found our new entry into the National League East playing before packed houses day after day, night after night. 39,203 at The Old Ballyard on East Capitol Street for this one. Unfortunately though, when The Houston Astros arrived for their first ever journey to The Nation's Capital that mid-summer day, Washington had begun their tailspin from first place. Leaders of the pack at 50-31 on July 3rd, 2005--exactly three weeks later--this 24th date of July now found D.C.'s team losers of 13 of their last 17 ball games. Things were not going well for Our Washington Nationals during that last half of 2005 and this one particular afternoon affair epitomized the late season collapse to .500. While Washington couldn't hold on and scrap out needed wins over those final three months--their opponents usually found a way. For nearly 14 innings on this Sunday, Washington's pitching was outstanding--typical for 2005. Starter John Patterson had gone eight strong innings--striking out 10--allowing just one run. Chad Cordero, Luis Ayala, Mike Stanton and Gary Majewski had hurled four shutout innings--allowing just one hit. Hector Carrasco had added a shutout 13th. On the other side of the diamond, Houston's pitching had been just as outstanding. Wandy Rodriguez, Chad Qualls, Dan Wheeler and Russ Springer had combined for 13 well thrown frames--giving up just four hits themselves and one run--an RBI Single to light hitting catcher Gary Bennett. As was so often the case down the stretch, Washington could barely buy a hit this day and they certainly couldn't manufacture one either. Bunting and strong baserunning not on Washington's "Can Do" list in 2005. Weaknesses exposed in this game and over the final 63 games played that wonderful first season of baseball back in D.C. And as this game went deeper and deeper into late afternoon, fans were getting frustrated over Washington's inability to score. Past the two hour mark, this game played out--then three hours--finally the 4th hour began--when the most unlikeliest of endings occurred. From the 7th inning on--fans had witnessed nothing but shutout ball. Now, as the 14th inning began and Our Washington Nationals hitting slump continued--our pitching finally unraveled as well. Sometimes teams just have no luck. To that point in his season--Hector Carrasco had been a phenomenal free agent pick up for Washington. The 35 Year-Old Dominican was enjoying a renaissance year and sporting a nifty 2.17 ERA. Then, just like that--a leadoff single allowed to The Astros' Adam Everett was immediately followed by a wild pitch--advancing The Houston Shortstop to second. Jose Vizcaino was just trying to lay down a sacrifice bunt, but Hector was finally losing control and there was no one else in Washington's bullpen that Manager Frank Robinson would depend on after Vizcaino walked. Sun-Woo Kim had taken the brunt of a huge beating two nights earlier in a 14-1 pasting by Houston and Roger Clemens. Lefty Joey Eischen was ineffective the night before--returning from a broken arm. Really, there was no else to choose. Clearly, this game was now Hector Carrasco's to win or lose. And for the briefest of moments--it appeared as if Carrasco would get to the bottom of the 14th tied. With two runners on and nobody out, he forced Houston's Brad Ausmus to fly out to right. Then, The Astros Manager pinch hit pitcher Brandon Backe for pitcher Russ Springer--who also flew out to deep right field. You see, Phil Garner had no position players left on his bench--no one left as well-- which forced Garner to leave his light-hitting utility man, Eric Bruntlett, in the game to bat with now--two outs. Bruntlett had entered as a late inning substitution in center field for Houston. No one watching expected what was to come. As Bruntlett stepped to the plate, the home faithful rose in unison--in anticipation of the third out. (Do you remember how EVERYBODY watching would stand for the final outs at RFK--like all the time? That seems like ages ago) But Bruntlett was playing this At-Bat smart. He wasn't diving at Carrasco's waste pitches. He also didn't seem to be comfortable. And when it appeared Eric had struck out on a checked swing to end the top of the 14th--the crowd roared in delight and Our Washington Nationals headed off the field to bat--at least until 1st Base Umpire Marty Foster ruled BALL THREE. Bruntlett had not struck out. The Houston Utility Man had only loaded up the count. With the booing now cascading down from the highest reaches of RFK Stadium, Hector Carrasco looked in for the sign from his catcher--now Brian Schneider--and heaved a fastball on the 8th and final pitch of this key At-Bat that Eric Bruntlett immediately deposited over the left field fence at RFK Stadium for a three homer. You could have heard a pin drop at RFK. The light-hitting Bruntlett had decided this game in unexpected fashion. A resultant 4-1 final score that witnessed many leaving The Old Ballyard that day stunned and dismayed. What was becoming an extraordinary affair--was now just another loss. The first of six straight defeats and 9 out of 10 for Washington. I will never forget that game, and that play, for Our Washington Nationals were never as good as that first half of 2005. And Eric Bruntlett's three-run back breaking home run had, in retrospect, sealed the fate of that Inaugural Season in The Nation's Capital. 2005 was never the same after that July 24th defeat. Of course, there is a reason why this story is retold this day. Eric Bruntlett is now a member of Our Washington Nationals. Signed today along with Former Nationals Farm System Product, Josh Whitesell, by Our General Manager Mike Rizzo to minor league contracts with invitations to Spring Training in 2010. Roster moves to give Washington depth both on the Major League Bench and Minor League Rosters. The Washington Nationals today agreed to terms with first baseman Josh Whitesell and infielder Eric Bruntlett on 2010 minor-league contracts that include invitations to big league Spring Training. Nationals Senior Vice President & General Manager Mike Rizzo made the announcement. Whitesell returns to his original organization, as he was drafted by the Expos in the sixth round of the 2003 First-Year Player Draft. The left-handed hitting Whitesell posted a .346 on-base percentage in 46 games last season with Arizona, and is a career .200 hitter (23-for-115) with seven doubles, two home runs and 15 RBI in 53 career big league contests with the Diamondbacks. Whitesell, 27, has hit 113 home runs and posted .394 on-base and .492 slugging percentages in seven minor-league seasons. Bruntlett joins Washington after playing the last two seasons for the Phillies, with whom he earned a World Series ring in 2008. Bruntlett is a career .231 hitter (182-for-789) with 11 home runs and 72 RBI in 512 games spanning seven seasons with Philadelphia (2008-09) and Houston (2003-07). 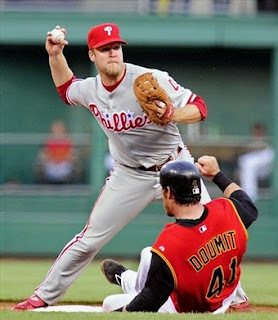 The 31 year-old Bruntlett sports four years of post-season experience (2004-05 with Houston, 2008-09 with Philadelphia) and defensive versatility (all four infield spots, every outfield position). He batted .171 in 72 games with Philadelphia last season. The African Queen and I want to wish everyone out there in NatsTown a Happy Holiday Season! We take great joy in Christmas, but whatever celebration you enjoy this most wonderful of seasons, Sohna and I wish yours to be a pleasant, safe and happy one. Happy Holidays & Have A Very Merry Christmas From Nats320!! UPDATE: The deal is one year at $3.5 Million plus $425,000 in performance incentives. Love the fact that Capps is controllable via arbitration after the 2010 season. In essence, Rizzo can decide whether Matt is worth a longer and larger contract based on his upcoming season effort. The Off-Season Checklist continues to get punched. Santa again with an early Christmas Present for Washington. "I really like the decisions the Nationals have made this offseason and their commitment to winning beyond 2010. I'm excited about what can be," stated by the newest member of Our Washington Nationals early this morning to mlb.com. Matt Capps agreeing to a one-year deal, pending a physical, to be Washington's presumptive closer for 2010--an excellent pick up by Mike Rizzo. But maybe more important is that over a short period of time, Our General Manager has created "BUZZ" about D.C. Baseball. Players are openly talking about coming to The Nation's Capital--donning the Curly "W"--wanting to be a part of something special. Capps passed on The Cubbies to come here. Throughout the game and in the press there is positive banter about our team that hasn't been consistently heard since the inaugural season of 2005. Mr. Rizzo is working aggressively against his GM brethren. He's apparently not backing down from anyone on his "Off-Season Checklist". In less than one month--Mike's solidified Washington's short-term (and maybe long-term) needs in the bullpen. Even the signing of Eddie Guardado can't hurt because the old veteran lefty is strictly on a pay-for-play contract (non-guaranteed). Another arm for Jim Riggleman to consider this spring. Jason Marquis stabilizes the starting rotation and there may be another veteran arm coming on the horizon. Unlike last year, Our Manager will have depth to consider in making out his lineup card in 2010. On the mound, behind the plate, even in the field--Our Washington Nationals are a much better team right now than at any time in 2009. There is a whole new feeling about Our Washington Nationals this holiday season. With Christmas less than 24 hours away--Mike Rizzo keeps giving present after present to our fans--leaving The African Queen pondering what's next on Santa Rizzo's Off-Season Checklist? PS--Pending the physical, the Matt Capps deal will become official. At that time, Washington will have to make a roster move to add Capps to the 40-Man Roster. During his Introductory Press Conference and subsequent Side Session with reporters this afternoon at Nationals Park--Jason Marquis came across as a straight shooter--not one to answer any question with that generic response. Marquis seemed well versed in the current roster of Our Washington Nationals. And when asked about what personnel decisions made by Washington's Baseball Management stirred his interest the most over the course of the past few months--immediately stated: "Strasburg". Question: As you were going into the off-season and starting to come to some idea as to where you were going to look, how many teams were in your mind? Where The Nationals there from the beginning? I know you have said you met some guys and had a sense of it here. Where they (The Nationals) there from the beginning (in the decision process)? Question: Among how many teams? Question: But this is a team that has lost 100 games back to back on your list? That raises an eyebrow or two? Question: They are going to try to improve it defensively. But when you look at Zim (Ryan Zimmerman), a Gold Glover—obviously, when you look at Pudge, his record speaks for itself. And now Nyjer Morgan in centerfield, you have got to feel pretty good about that? Question: You are going to be the man here (in the starting rotation). I am just wondering what that will be like for you? Question: One year you gave up 35 home runs (2006), which was the most in the league that year. But the last two years you have only given up 15 each season. What are you doing differently now that you weren’t doing then? Questioner: It was actually a year where you had a very good record. Question: You mentioned in the press conference talking to John Lannan. Question: You said you are a guy that really pays close attention to transactions that teams are making. With The Nationals, was there any previous move along the line that made you really start to take notice they were doing things right? Question: Are you one of those guys who are watching MLB Network at midnight? Question: How tempting was it to go back home to New York (Mets)? Question: You mentioned you drew up a list of things you were looking for in a new team. What were those interests that matched you up with The Nationals? Question: Back at RFK Stadium in 2005 when you pitched for The Cardinals, you pitched a shutout here—I think the scored was 6-0. Then in 2006, you were involved in a near no-hitter at RFK when Ramon Ortiz came close for Washington. 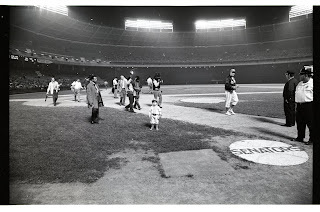 What do you remember about playing at RFK Stadium those first few years after baseball returned to Washington? Question: “Would you like to see the power alleys move from over there to here at Nationals Park? Question: There was a time when RFK was not considered big. It was considered neutral by most people. With that final answer, today Side Session With Jason Marquis concluded. Wearing Number 21 for Our Washington Nationals, Jason Marquis stood on stage in the media room smiling and shaking hands with Our General Manager Mike Rizzo. The introductory press conference for Washington's newest baseball player had just concluded. A 20-Minute Meet & Greet with the local media that witnessed a confident and self-assured 31-Year Old state in a terrific New York accent: "...hopefully, they (his new Nationals Teammates) can feed off what I do between starts. Feed off what I do on the mound and apply it to themselves. I am open ears, open arms and any advice that I can be there for them and any helpful hints (I can give them)—well--that is what I am all about." The veteran presence on the mound talked about, wished for, hoped for--today, finally signed for by Our Washington Nationals three days before Christmas--2009. A present needed to solidify Washington's Starting Rotation for the upcoming 2010 season. Marquis was all about team today and repeatedly said just that in this afternoon's presser--like this doozy of a quote: "I think sometimes people get stuck on numbers, ERA (stats) instead--and lose sight of winning ballgames. And that is something I have learned whether you win the game, 10-9, 2-1 or 1-0, whatever it may be. The ultimate goal is to win ballgames and that is how you get to the next level. Getting to the playoffs is the ultimate goal and sometimes people lose sight of that." Just Win is what Jason Marquis says he is all about. That's the type of guy we want to see on your team. Mike Gazda (Director, Baseball Media Relations): I would like to thank everyone watching the proceedings live both locally on our television partner MASN and nationally on the MLB Network. Just to give you guys the format of today’s news conference. In a moment, I am going to hand things over to Mike Rizzo—who is The Nationals Senior Vice-President and General Manager. He will introduce the newest member of The Nationals—Two Time All-Star Pitcher Jason Marquis. After their remarks, we will open the floor up for questioning and then we will break out into some informal one on ones. So, at this time, Mike Rizzo. Mike Rizzo: Good Afternoon, another exciting day here for The Washington Nationals Family. We are very proud to present the newest member of our family, right-handed pitcher Jason Marquis. He comes to us with impeccable character, impeccable credentials and a work ethic, which is what we are trying to implore with all of our players here in Washington. As Mike (Gazda) said, a two-time All-Star, his numbers speak for himself. As consistent a performer as there is in Major League Baseball. A workhorse, a true teammate and true guy that takes the ball in all situations. 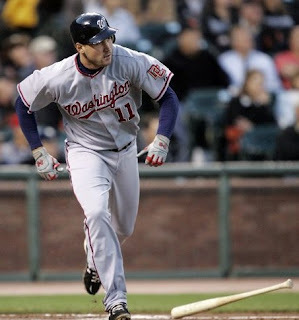 It is my extreme pleasure to announce to you the newest member of The Washington Nationals—Jason Marquis. Jason Marquis—Thank you very much. Jason: I just want to thank The Washington Nationals Organization for bringing me onboard. This is an exciting time for myself, my family, everything we could have dreamed of. To come here to an organization that has shown that they are looking to move forward, build this organization to a winning organization and for me to be a part of this is a special part of my career. What I bring to the table is someone with a winning attitude that, hopefully, can rub off on some of the young talent that they have brought in (already), like myself, Pudge (Rodriguez), and create just a winning attitude here in Washington. And I am just looking forward to start. Question: My first question to you is what was it about The Nationals that intrigued you? All the New York papers had you going to The Mets. I just want to know why? Jason: They (The Nationals) are in a phase where they went out and made improvements to become a winning team. Hopefully, next year, down the road in the future, with guys like Ryan Zimmerman, Stephen Strasburg, Cristian Guzman, Josh Willingham and Adam Dunn—the list goes on. I think they (The Nationals) need a little more veteran presence, guys that have been there—on winning teams—that can bring a winning attitude and pass down the lessons they have learned from each team they have played on. So it’s an exciting time and something I am proud to be apart of. Question: Like you were saying, you are going to be the veteran on a young pitching staff of second and third year guys. How do you look at your role there as far a leadership is concerned? And are you the type that is vocal with teammates? Or, is it more of leader by example? Jason: It is a combination of both. You have got to know your teammates. Who can be spoken to; who can come to you. I have been in their shoes before. I’ve looked up to the likes of (Greg) Maddux, (Tommy) Glavine and (John) Smoltz and learned a lot of valuable lessons from them—not only on the field, but also off the field. But on the field, they are going to see a guy that gives everything he’s got. There is no let up. I play the game to win and that is about it. So hopefully, they can feed off what I do between starts. Feed off what I do on the mound and apply it to themselves. I am open ears, open arms and any advice that I can be there for them and any helpful hints (I can give them)—well--that is what I am all about. Question: Last year, after you pitched against The Nationals in July, a lot of the players in The Washington Clubhouse were talking about how you changed a lot as a pitcher from, say, three years ago until now. How would you describe your evolution as starter in terms of what you know about the game? Jason: Well, sometimes in this game there are failures. You have got to learn from past experiences as to why they don’t work. And I am always striving to be better and I am still that way today. I am always looking for ways to improve. And that is what I have learned throughout this game that you either have to make the adjustment or you will not be around. I went from a guy who was a four-seam (fastball) guy back in Atlanta, then went to St. Louis and learned how to throw a sinker—which benefited my career. But as each year goes by, you learn what you are capable and not capable of doing and that is what I have been about. Follow Up Question: Any critical moments like learning that sinker that you can point back on? Jason: It is a pitch that I always felt comfortable throwing from Little League to High School, to the Minor Leagues and even when I got to The Big Leagues. But a pitching coach stressed the importance of it in terms of going deeper into games—lower pitch counts. It’s a contact pitch, Instead of trying to be the guy that is trying to have a guy (batter) swing and miss sometimes, it’s a miss-hit pitch, and it allows me to get deeper into games. It takes stress off the bullpen and it gives me and my team a better chance to win. Question: You had a strong first half last year, lesser of a second half. Have you had the time to reflect on what was different that you need to work on for 2010? Jason: I always sit back and try to see what I can do better over the winter when the season ends. And you try to come up with a game plan—it could be anywhere from the physical standpoint to a mental standpoint—maybe doing too much in season with working out. Or, knowing when to pick a spot to relax and give your body a little more rest and recovery time. But I think I have made some mental notes and wrote them down and I think I have come up with some ideas that will help me through the month of September. It’s a trial by error and I can’t sit here and say I am going to go 6-0, but I am going to try to go 6-0 and do everything in my power to go 6-0. Follow Up Question: So, you don’t feel this is a fatigue factor (in your arm)? Jason: No. My arm feels just as healthy in April, May, as it did in September. I think it came more down to a location, pitch selection type of situation. And I just have to go back and watch film and try to have mental notes of how you felt with the combo of everything. Question: Have you had the chance to reach out to some of the current starters, like John Lannan? What were those conversations like? Jason: Not yet. I did speak to John last year after a game here. A couple of players came out actually. He was saying how he felt he loved it here. John’s put up two pretty good seasons here the last two years—his first two years in the Big Leagues. And like I said, he was looking for a veteran to be around helping to lead the staff. Sometimes it’s asking a lot for a first year, second year player to lead a pitching staff. But he has done a great job of doing that and hopefully I can add to that and make these guys better and get them to where they need to be and learn more about the game and winning games. Follow Up Question: There are a lot of young arms in this organization. With the addition of you, how good could this staff be? Jason: There is a lot of potential. There is a lot of potential around baseball with ability and they just haven’t learned how to use it. I think sometimes people get stuck on numbers, ERA instead and lose sight of winning ballgames. And that is something I have learned whether you win the game, 10-9, 2-1 or 1-0, whatever it may be. The ultimate goal is to win ballgames and that is how you get to the next level. Getting to the playoffs is the ultimate goal and sometimes people lose sight of that. Question: Mike—when did the focus turn to Jason as far as the off-season goes? Mike Rizzo: Starting pitching was our number one prerequisite going into the winter as far as what we are trying to do. Jason was in the small group of pitchers that we wanted to acquire from the beginning—since the end of the season really. The negotiations turned specifically to him late last week and the momentum carried us into late Saturday night (December 19th), early Sunday morning—when Jason’s people and myself reached a verbal understanding. Question: Jason, you are a product of that Braves Farm System from the 1990’s. Could you talk to us about what it was like to come up as a pitcher at that time and why they were so successful? Jason: It was an exciting time. I was real young. I thought I would never get a chance with the names of the pitchers on that Big League staff. But you have to stick with what you believe in, work hard. In the Minor Leagues, they teach development, really to get you prepared for the Big Leagues. But once I got up there, like I mentioned the names before--Maddux, Glavine, Smoltz, (Kevin) Millwood, Steve Avery was around—guys with experience, with a history of winning. They were there to help you win ball games; help you get over the hump and become a great Major League pitcher. They really taught you to be yourself, don’t try to be like them. Be yourself, try to find who you are on the mound, but also the preparation it took between starts to become a great Major League pitcher. And that goes for working hard in the weight room; working hard with the trainers; watching film; coming up with scouting reports—so I learned a lot from these guys and it is one of the reasons I am here today. Question: How much pride do you take in being an innings eater since that has happened, obviously, throughout your career? How much of that—wanting the ball—can rub off on a young staff like we have here in Washington? Jason: I take pride in taking the ball every fifth day. Innings eater I would not say, I want to throw quality innings. I don’t want to go out there and get beat up and throw innings at the same time. I want to throw quality innings and give my teammates a chance to win every single day—every time I take the ball. And it’s a pride factor—not allowing myself or my body to breakdown and not give my team a chance to win. I feel like I let my team down if I am not there for them. And that stems back from when I was a kid, the competitive edge that I have always had—not wanting to lose, not wanting to give in, not wanting to be (off) the field—drives me to work on and do better day by day. Question: Was there anything that Mike or someone else said during the free agent process that really made you picture yourself in that (Washington) uniform and come here? Jason: I follow baseball. I am a baseball fan. I follow teams. What direction they are going? What moves they make? What they are looking for? But ultimately, Mike and The Nationals showed the interest that they wanted Jason Marquis and that is a huge factor that goes into it (the decision). Being in a place where you feel wanted, when they had your back from day one—and that’s one of the many reasons why I came here. Question: You are a pretty good hitting pitcher. Did that play any factor in you wanting to stay in The National League? Jason: A little bit. Mike threw in a few clauses in there for plate appearances (laughing). No. But I feel like it’s another dimension to the game that can help you win a ball game. I take pride in my hitting. I take pride in my base running. I take pride in my bunting. And those are one of many things that can help you win a ball game. Over these last six years, I could say seven or eight times maybe where my at-bats or my legs have helped me win a ball game or the team win a ball game. And that little difference on my end—as opposed to somebody who doesn’t take pride in that—even if you get the other four starters onboard—that’s the difference in winning 70 games to 80 games to 90 games. And like I said, that is the type of attitude I am going to try to bring to this team. Question: Mike, given the status of the starting pitching last year, one pitcher doesn’t fulfill everything you need. Are you in the market for another type of pitcher like Jason now to go along with him? Or, are you moving on to other needs now? Mike: We are always in the market to improve our ball club in any way we can. No one ever has enough pitching. We feel we’ve checked one of the boxes of our greatest needs going into the season with a top of the rotation-starting pitcher. But we are never satisfied here. I am never satisfied. I am as competitive as anybody. We are trying to bring a winning ball club—not only for 2010—but for beyond. We are open to acquiring players that increase our chances of winning ball games in any way we can—free agency, trades, waiver claims—any way we can to improve the ball club. And we certainly haven’t stopped any of that. With that final answer, The Jason Marquis Introductory Press Conference concluded. Marquis and Rizzo then did side sessions with the reporters on hand at Nationals Park. There will be more coming later this evening on Nats320 with Jason Marquis and Mike Rizzo. Since the conclusion of the 2009 Major League Baseball Season, Mike Rizzo has claimed veteran left-handed reliever Doug Slaten off waivers from The Arizona Diamondbacks; traded his Rule V Number One Pick to The New York Yankees for right-handed reliever Brian Bruney; signed Pudge Rodriguez to a two-year contract to catch; and today--reportedly--signed right-handed hurler Jason Marquis to a two-year deal worth $15 Million to start for Our Washington Nationals every five days. Four veteran players added to the 40-Man Roster by Our General Manager that improves D.C.'s Major League Club immediately--while not hindering young talent developing in our future. Clearly, Mr. Rizzo is working his plan. Not only is he implementing Big League improvements, but Our GM is not stopping and standing pat. Reportedly, Our Washington Nationals still have an interest in Jon Garland (maybe even Ben Sheets or someone else), among a host of veteran starters still available via free agency to fill out next season's starting rotation here. The recently non-tendered Matt Capps considers Washington on his short list of teams to bring his bullpen talents. 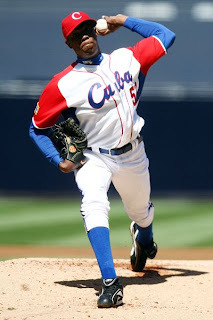 And even Aroldis Chapman, the 21-year old Cuban--considered by some scouts as The Number 1 pick in the first round of any draft not including Stephen Strasburg (if Aroldis were eligible and not a free agent)--is shopping his immensely talented left throwing arm around Major League Baseball. And Washington is apparently in pursuit. There is even talk of adding a veteran middle infielder for 2010. The signing of Slaten and Bruney gives Washington the ability to not rush Drew Storen to the closer role. 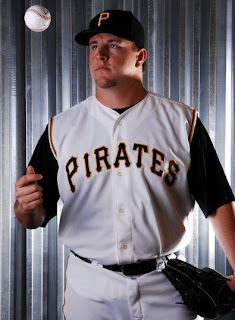 Signing Matt Capps would nearly complete a much needed overhaul of Our Bullpen. The addition of Jason Marquis gives Rizzo better options when considering his 2010 Starting Rotation while not pushing Stephen Strasburg. And instead of wondering whether Ross Detwiler, Craig Stammen, Garrett Mock and Scott Olsen can all be relied on to make major contributions when given the ball by Our Manager Jim Riggleman this coming spring--Our GM can sit back, pencil in Marquis, John Lannan, maybe another veteran starter that signs with Washington--and then have a legitimate competition for those final two spots. A fight to the finish for The Opening Day Roster--that always makes everyone better. All the while, allowing Stephen Strasburg to find his own comfort zone in the professional game. Advancement without surrendering Our Future. None of these added players over the past few weeks are signed for more than two years. No one is locked in long term. So, if Washington could find the right amount of money to add Chapman over the next month to our system--then we are looking at a ballclub that could be competitive in 2010 and on the verge of something special beginning in 2011--all because of pitching. A starting rotation of Strasburg, Chapman, Lannan & Jordan Zimmermann is conceivable here in two seasons. A young foursome that would rival any team in the game. If baseball really is about pitching, pitching and more pitching--then there you have it--ripe for the taking. It would be hard for any team in baseball to match a youthful starting rotation any better than what Our Washington Nationals, potentially, have on their horizon. Can we please sign Aroldis Chapman? He is better than any free agent possibility out there and he is controllable for years to come. His addition would give Washington, basically, a Free Number 1 Overall Pick for the second time in five months. And three First Round Talented Prospects over the same period of time (including Storen). That type of young pitching depth doesn't come around too often. The Future of Our Washington Nationals is not here yet, but Our Team finds itself today better positioned for the short term. And thanks to some low-key yet effective moves by Our General Manager--on the doorstep now of a long-term future built upon a solid foundation of quality pitching--without the debt of a high payroll. Remember, with excess pitching in hand, Mr. Rizzo can then play his trump cards--an oversupply of hurlers--and find the future offensive and defensive production needed to fill out a championship roster. The potential signing of Aroldis Chapman is a crucial building block that should not be passed upon by Our Washington Nationals. Coming off two consecutive 100-loss seasons, has any Major League Club ever been in such an advantageous position to come out on top? Two Number 1 Picks inked in 2009, another top talent looking to be signed in the Cuban Southpaw. And the Number 1 Pick Overall in the 2010 Entry Draft, as well, waiting to be chosen by Washington. Yeah, Our Washington Nationals Future may not be right now--but it sure could become ever so closer--with just a few more key moves. UPDATE Number 2--ESPN reporting the terms: 2 Years, $15 Million total. UPDATE--Phil Wood with more information. No details, but MASN is reporting that pitcher Jason Marquis has been signed by Our Washington Nationals. There are two additional tweaks to Our Washington Nationals Script Away Uniform for 2010. Sohna and I were told of these minor changes the other day and were reminded about them again last night. No longer will Washington wear blue under sleeves and blue stirrups/socks with the gray away jersey and pants. A tradition since baseball returned to Washington in 2005. Instead--moving more in line with the basic home jersey--Our Washington Nationals will don red under sleeves and red stirrups/socks. However, the blue away cap with White Curly "W" remains the same. From a personal standpoint, we've believed since the red script Washington jersey came active last season, the blue away cap should match that red lettering on the jersey and sport a Red Curly "W". The St.Louis Cardinals have worn a blue away cap with red STL for years. We see no reason why Our Washington Nationals couldn't follow that same path. If we are making two more tweaks to Washington's script away uniform for 2010, why not go all the way in 2011? 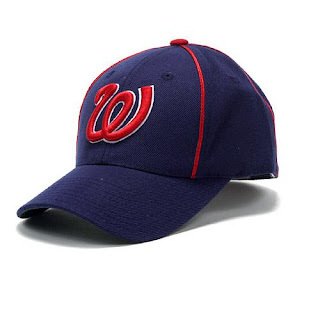 And use something similar to this vintage 1963-1967 Washington Senators Cap pictured below. We think it just looks better. The biggest snowstorm to hit the Washington, D.C. area in years and what did The African Queen and I do? We headed outside to play baseball. Yeah that's right, we were Getting Our Red On In The Whiteout. The snow so deep around our house in Alexandria, Virginia early this afternoon, the drifts at times were higher than Sohna's knees. Which made for quite the sight when she tried to throw her fastball right past me!! Where was My Best Friend!! Screech!! and The NatMobile when we really needed them? If only Our Racing Presidents could have posted up as well? Just having a Great Time Getting Our Red On In The Whiteout. Nothing quite like baseball in a snowstorm. Barring some exceptions, our general understanding is that Major League Baseball will allow each of its 30 clubs to make major changes to their uniforms every three years. However, MLB can implement their own mandatory uniform changes, or tweaks, for all their members as they see fit. For 2010, Major League Baseball has mandated a change to every ball clubs batting practice cap. Our Washington Nationals version will be significantly different from the one worn the past two seasons. A change that was confirmed today by Our Washington Nationals. Instead of the Blue with White Curly "W" with red trim containing (what Sohna and I have always called) the "sunset" red with white horizon on the side panels above the ears, the new 2010 Batting Practice Cap will be Red with two blue stripes running down from the crown center through the panel stitching to the brim of the cap. The Batting Practice Jersey will remain the same as worn the past few seasons--overall blue with white Curly "W" and red & white trim. No samples are yet available of this new Batting Practice Curly "W" Cap (we've seen an early test model not approved with colors similar to last year's version). But this picture above of a 1963-1967 Washington Senators Vintage Cap will give you a better idea of what we are writing about here. Remember though, the cap is red overall with blue pinstripes and White Curly "W". And those pinstripes only run down the front two panels of the new batting practice cap, not throughout the entire circumference--as this Senators Cap was produced and worn in the 1960's. Additionally, there will be a change in the shading of all gray jerseys worn by Major League Baseball Teams. We are talking about the color of the gray jersey tops and the pants here, nothing more. No other major design changes for Washington's uniforms otherwise--according to Our Washington Nationals. But if Sohna and I hear of any more tweaks or additions to Washington's uniforms, we will certainly pass them along. One thing though is for sure and you can count on it. We will be buying New Red Curly "W" Batting Practice Caps for 2010. As always, a matching pair. Also of interest. 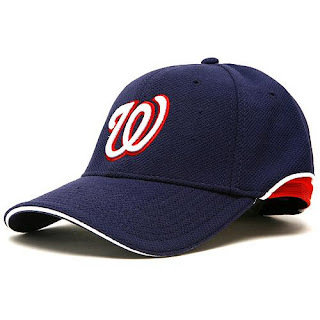 For the 2009 changeover of Our Washington Nationals Away Jersey from block Washington letters to script Washington letters, we learned today the idea was kicked around of changing the away cap to either the current home worn Red Curly "W" version or alternate versions of a Red Cap with White Curly "W" and a blue brim; or a Blue Cap with White Curly "W" and red brim. All were passed on--keeping the current basic blue with White Curly "W" Cap--worn since the inaugural season in 2005--in tact. Here is some information concerning the upcoming NatsFest & Winter Caravan in January, 2010 from Our Washington Nationals. The Winter Caravan will take place from Wednesday, January 27th through Saturday, January 30th--apparently all events in the greater Washington, D.C. area. 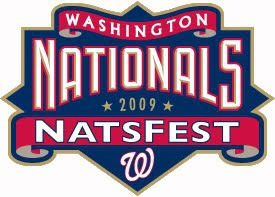 The Second NatsFest will take place on Sunday January 31st--at Nationals Park. Season Ticket Holders will receive their free NatsFest Tickets in the mail after the holidays, four tickets per account. Some, for sale tickets to Natsfest, might be available to the public. Another Hot Stove Luncheon will take place at Nationals Park on Friday, January 29th. Complete details coming the first week of January with Winter Caravan locales, players attending from Our Washington Nationals and NatsFest Details. Update: The team sent out a correction to the originally sent out press release early this evening. The Lower Right Field Terrace Seats have been reduced from $18 to $17. The initial statement mentioned $20 which was the 2009 Season Ticket Price. The most interesting news coming out of today's press release from Our Washington Nationals concerning the announcing of individual game ticket prices for 2010 was the cancellation of The Nats Express--the free park and ride service provided from RFK Stadium Parking Lot 8 (or 7 at times) to Nationals Park and back next season. In its place, $5 and $10 Parking Options will now be made available on an individual game basis. Lot HH on South Capitol Street under the SE/SW Freeway will cost $5. Lot W on M Street, SE between 6th and 7th will cost $10. Here is the map from Nationals.com/waytogo. Both these lots are the longest distance team controlled parking lots from the ballpark. There are no individual game ticket price increases for 2010. In fact, some seats have been reduced. And there will be 12 "Value Games" next season where tickets may be purchased for the same price as offered to partial plan season ticket holders. Here is the press release from Our Washington Nationals. 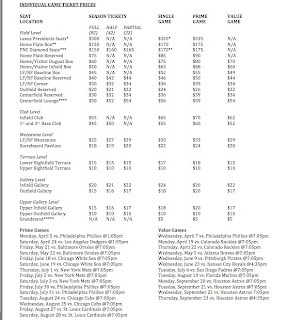 The Washington Nationals today announced individual ticket prices for the 2010 season at Nationals Park –offering fans one of the best game day experiences in Major League Baseball at affordable prices. The team’s new and exciting roster is sure to provide many entertaining days and nights in NatsTown, where individual tickets will still be available for as low as $5 on game day. Fans will also have new economy parking options just blocks from Nationals Park, making it easier and less expensive for fans to include a trip to Nationals Park in their summer plans. For the second straight year all game ticket prices in each seating area have decreased or will remain frozen. 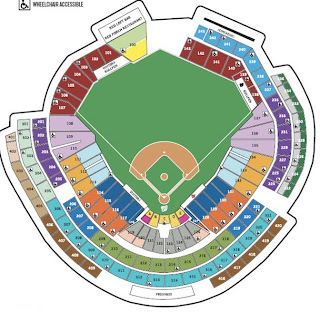 Prices on over 3,000 seats will be reduced through the creation of the Outfield Reserved (101 through 107 and 138 through 143) with all tickets cut to $24, and Lower Right Field Terrace seats (Sections 222 through 236) cut from $20 to $17. The ballclub has designated 12 games during the 2010 season as value games, up from five in 2009, in which single-game ticket buyers will have the opportunity to purchase seats at the price offered to partial-plan holders. At least one value game will be offered each month of the season and the slate includes match-ups against the Phillies, Braves, and Astros. The team will also offer 15 prime games, down from 18 the previous year, including Opening Day on April 5 vs. the Phillies, and contests vs. the Dodgers, Orioles and Mets. A full list of value and prime games along with pricing is provided below. The Nats Express and parking at RFK concluded after the 2009 season, however new and closer economy parking options are available for the 2010 season. Premium parking will remain the same, but fans choosing to drive to the ballpark may now park in Lot HH, located on South Capitol Street, SW for $5 per car, or Lot W, located on M Street between 6th and 7th Streets SE, for $10 per car. Each of these lots has been discounted from 2009 prices of $10 and $15 respectively. 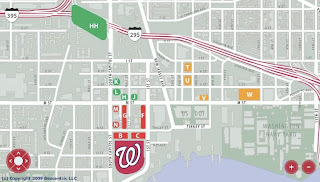 Complete information on Nationals parking plans and all the ways to get to Nationals Park may be found at nationals.com/waytogo. Whether Our Washington Nationals eventually sign Aroldis Chapman or not, there was a good sign yesterday when Mike Rizzo personally showed up for a showcase workout set up by his agents in Houston. The hard throwing Cuban Defector is a southpaw and just as hyped as Stephen Strasburg was coming out of San Diego State University. If Washington is going to be taken seriously in any negotiation for the 21-year-old, sending one of their area scouts or regional crosscheckers wouldn't be enough in a case like this one. Being present at these type of tryouts is important, dispatching your top guy sends a message Washington is serious. It is also critical for Washington to get their own eyes on Aroldis, not just believe all the hype of others. Reports say Chapman topped out at 96MPH on his fast and was consistently throwing 92-93 MPH. Last year at The World Baseball Classic, Aroldis was clocked by scouts at 102 MPH. Can you imagine if one righty and one lefty eventually took the mound for Our Washington Nationals and each could throw 100 MPH at times during their starts? Talent like that doesn't come along too often. Some bids for the free agent's services are said to be north of $15 Million, but money might not be the overall issue in getting Chapman's signature on a contract. Aroldis is now represented by The Hendricks' Brothers, who are being sued by The Cuban Defector's former agent--Edwin Mejia. Mr. Mejia claims The Hendricks have illegally taken his client away. The last time D.C.'s Team dealt with The Hendricks Brothers, Aaron Crow was Washington's Number One choice in the 2008 Entry Draft. And we all know how that turned out--Crow walked away--leaving a bitter taste in the mouths of Our Washington Nationals Front Office Staff--and fans too. That badly ended negotiation with The Hendricks in 2008 is another good reason for Mike Rizzo to be on hand in Houston yesterday for Aroldis Chapman's workout. The past doesn't matter anymore, only the present. Our GM stating it's a whole new ballgame just by being physically present. “We decided this year to see if we could do a project that would help a non-profit because we could impact more people instead of doing an individual house as we did last year," stated Vera Maher, Managing Coordinator of The Washington Nationals Dream Foundation. "That was a great effort, but we thought if we could find a non-profit in our neighborhood that could use some help—it would be fun to do the project here." "And this facility is great because they reach upwards of 150 people per day in this tiny center. They do OBGYN, podiatry—they do everything for woman and children—and it is within the shadow of The Nationals' ballpark," continued Laura Zabel, The Associate Director for Rebuilding Together, D.C. "So they (The Washington Nationals Dream Foundation) were really interested in this center and we ended up making this relationship a go and went from there." Just a few short blocks from Nationals Park and The U.S. Capitol stands The Unity Health Care Center in the SW quadrant of Washington, D.C. at 850 Delaware Avenue--which provides medical services for District of Columbia residents--regardless of their ability to pay. This past Thursday, December 10th and Friday, December 11th Maintenance and Front Office Staff of Our Washington Nationals were on hand helping renovate the facility--rebuilding labs, adding countertops and bookshelves while enhancing the safety aspects of the over 60-year old facility. The second partnership between The Washington Nationals Dream Foundation and Rebuilding Together, D.C.
"They (Unity Health Care) are trying to make do with what they have--and together--we are just trying to help them renovate a few areas that will assist them in taking on more clients and make it more efficient for their needs. They have a lot of rooms they can’t use just because of the original layout. So building the bookshelf and the countertops help utilize the facility for the betterment of everyone," believes Ms. Zabel. 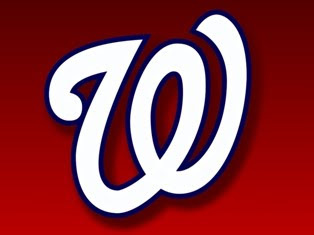 The Washington Nationals Dream Foundation offered a $5,000 Grant to Rebuilding Together, D.C. to get the work started at the SW Unity Health Care Facility. That donation provides materials and supplies. All the labor is provided by Our Washington Nationals and the entire workforce gives their time freely. Nationals Corporate Sponsors Hard Times Cafe & Five Guys Burgers provided a free lunch for volunteers last Thursday and Friday, respectively. Rebuilding Together, D.C. helps renovate about 100 homes per calendar year. But with the current economy still in a downturn, utilizing their grants to assist as many in need as possible must be maximized. Their requests for assistance has tripled over the past year. Not only is Rebuilding Together, D.C. hearing from those needing housing & building repairs, but also those in need of food and clothes. “Yes, it is hard to do. (sighing) But, we have many fine partners like The Washington Nationals whom we have been able to draw on for assistance. We simply would not be able to make any in-roads without our generous sponsors." One of the main conditions for Unity Health Care to be granted this renovation was the very fact the facility is not going anywhere any time soon. The District of Columbia owns the building. And the medical services provided are needed in SW for years and years to come. "We did consider a couple of other places," said Ms. Maher. "But with one, their lease was fairly short-term, only for two more years. That would not have made a whole lot of sense to get into one of those projects if they are going to be emptying and leaving. So part of the decision is—are you going to be here for the work to make a difference? Does it serve the public? And will our work have a major impact? Unity Health Care fit all the requirements and being near Nationals Park made it perfect." As mentioned earlier, this is second such project between The Washington Nationals Dream Foundation and Rebuilding Together, D.C. Last January you may recall, Maintenance and Front Office Staff for Our Washington Nationals helped restore Angela B's residence in S.E. Washington. A major job that included the building of a brand new roof for her then leaky house. Laura Zabel says that project gave Rebuilding Together more exposure: "She (Angela B.) actually referred us to a couple of neighbors (an 80-year old veteran, an elderly couple and a needy family with children). So we have been working on even more projects in that neighborhood right across the street from her house. We’ve kept a good relationship with her and have gone over there a few times to check-up on her. We even painted a couple more rooms there as well to give her some more assistance. All that because of The Nationals project with her." Although The Washington Nationals Dream Foundation and Rebuilding Together, D.C. don't have a formal agreement for continuing jobs, the two charitable arms work together to find out who might best benefit from The Dream Foundation's Neighborhood Initiatives each winter--while always keeping in mind the foundation's core values that include children's health, recreation and education. When The 2010 Winter Caravan takes off with players from Our Washington Nationals early next year, the Unity Health Care Facility on Delaware Avenue in SW will be a stopping point in late January or early February, 2010. Those dates have yet to be finalized. PS--Nats320 attempted to interview the director of Unity Health Care's Delaware Avenue SW Facility a few times last week to get their point of view on The Dream Foundation's efforts. But Unity Health Care made so many stipulations to control editorial content of the story--we passed.